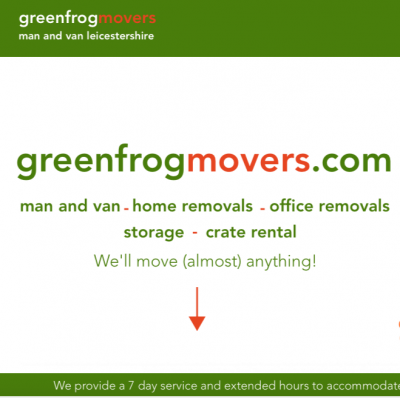 Green frog man and van is a professional, flexible and affordable man & van and removals service in Leicestershire and Rutland and surrounding areas. We provide a second to none, dependable service in order to meet our customers' requirements. No job is too small and your job is important to us, whether it's picking up a TV from the next village or moving storage items to your new home, we treat it equally. We will move (almost) anything!